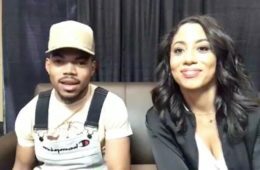 Chicago Beyond Managing Director Liz Dozier was joined by Chance the Rapper to announce Chicago Beyond’s second annual Go Innovate Challenge. The challenge is designed to find and invest in innovative programs, ideas or approaches that disrupt chronic challenges facing young Chicagoans. To participate, interested organizations simply need to submit a 90-second video that describes their work. “Chicago’s young people possess tremendous potential and deserve every opportunity to thrive and succeed,” said Liz Dozier, Managing Director of Chicago Beyond. “We’re looking for nonprofits who are working to unleash that potential and we’re making it easy for any organization to apply. You don’t need sleek production. All you need is a camera phone and a great concept. “Our responsibility to Chicago’s kids is not over when school is out,” said Chance. “It’s more important than ever to find programs making a real difference in the lives of young Chicagoans. 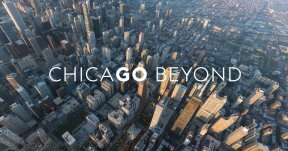 Our city can’t let the status quo continue, and Chicago Beyond’s investments in these life-changing programs will help break the cycles that keep kids from realizing their potential.” Formed in 2016, Chicago Beyond is a venture philanthropy fund that was created to transform the lives of young people by focusing on two critical issues — youth safety and educational attainment. The invitation is open to organizations inside and outside Chicago if the program, idea or approach can be implemented in Chicago. The deadline for submission is 11:59PM CT on July 7th. For more information about the programs Chicago Beyond is supporting, in addition to application details for the Go Innovate Challenge, please visit ChicagoBeyond.org.